I went to Scheels to look at ammunition yesterday and was pleased to find these signs around the store. It’s nice to see a business which still regards the most important Christmas holiday! It was actually a thrill to see a regional business stand up to pressure against Christianity in public. In the future I won’t even consider going to another sporting goods store (especially one that doesn’t even carry handguns, ahem). The greatest news ever given. 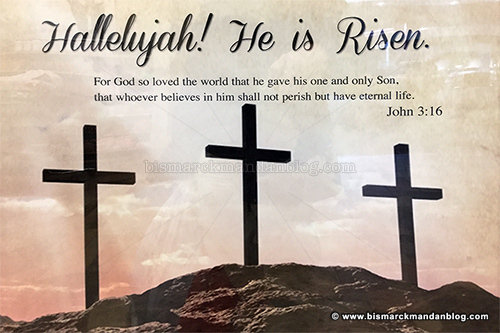 I was elated to see it proclaimed at Scheel’s. 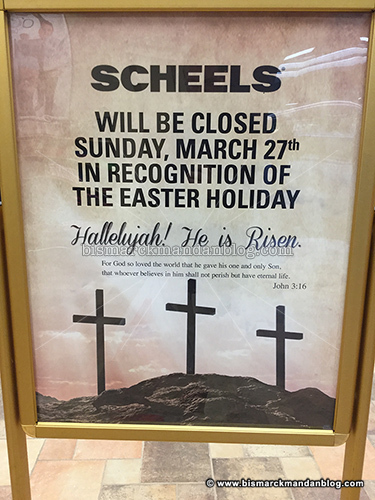 Not only is the company giving its employees to celebrate as they wish, but they’re also proclaiming the good news of the Lord Jesus Christ – good news that I’m willing to bet is enjoyed by the majority of Scheels’ customers. Thanks again to Scheels and other North Dakota businesses who support people of faith and stand up for what’s right!